If all of your teeth are missing, we can usually modify your present complete denture or make you a new temporary denture. If you would prefer non-removable teeth during the healing phase, temporary transitional implants usually can be placed along with the permanent implants, and temporary teeth may be made and inserted the same day. The number of appointments and the amount of time required for each appointment are different for each patient. No two cases are exactly the same and regardless of the number of teeth replaced, the work must be completed with great precision and attention to detail. If you are having only a few teeth replaced, as few as three short appointments may be required. Between appointments, we will need time to complete the necessary lab work to make your replacement teeth. It is most beneficial that you keep all of your scheduled appointments. If your final restoration is a removable denture, you will need to come to as many as five office appointments (although it may be fewer) over the following several months. During these appointments, we will perform a series of impressions, bites and adjustments in order to make your new teeth, as well as the custom support bars, snaps, magnets, or clips that will secure your teeth to the implants. During this period, every effort will be made to ensure that you have comfortable, temporary replacement teeth. In general, once your implants are placed, you can expect your tooth replacement treatment to be complete in anywhere from 1 to 12 months. For these reasons, it is difficult for us to tell you exactly how much the restorative phase of your treatment will cost, although you should receive a reasonable estimate from our office. It is also difficult to give you a specific time frame for completion of your treatment until after the implants are ready for restoration. 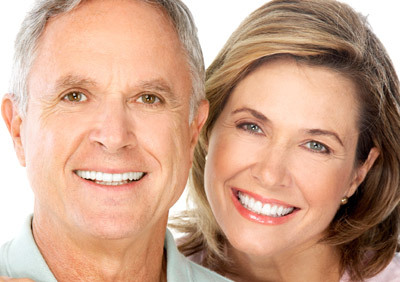 are the most technologically advanced and longest-lasting tooth-replacement options available. Restore your confidence. Smile, eat and enjoy! When different doctors are involved in your treatment, you will be charged separately for their services. We will try to assist you in estimating what your actual payments will be after we evaluate your insurance coverage or other third-party payments. Also, you should consider your personal financial investment in each treatment option, as some insurance companies provide limited or no coverage.